The Cal-Mil 1486-96 midnight bamboo three step jar display is an eye catching condiment holder that would complement nearly any foodservice venue. On each step there is a glass jar that will hold condiments, drink garnishes, a variety of packets, and more. The clear glass of each jar allows optimum visibility so customers can easily see which product they want and grab it. 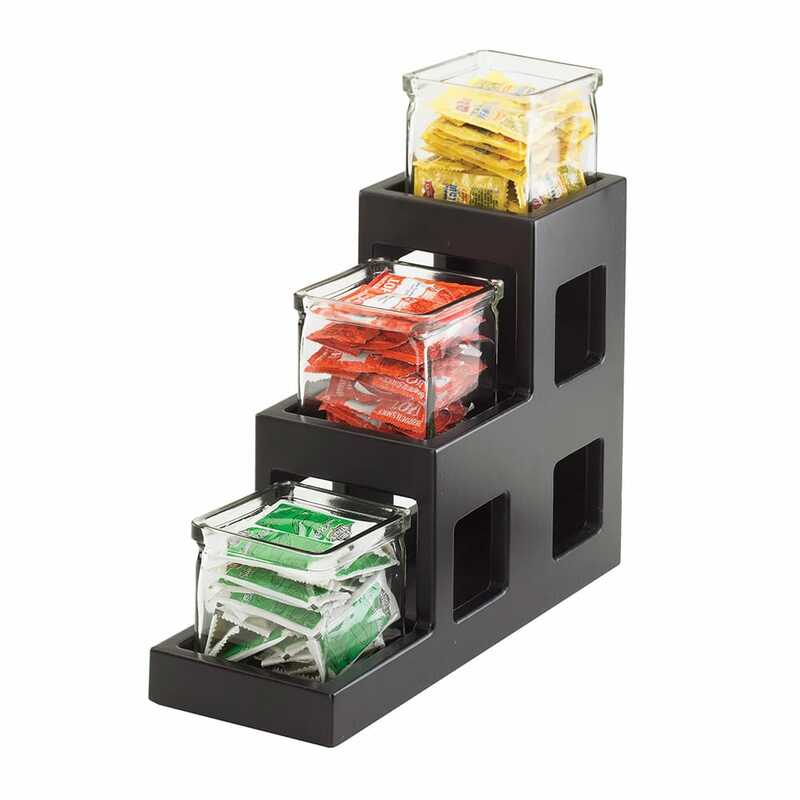 The eco-friendly Cal-Mil 1486-96 midnight bamboo three step jar display is BPA free to keep customers’ health safe.